Mobicip Premium users can now setup time limits for Internet access. 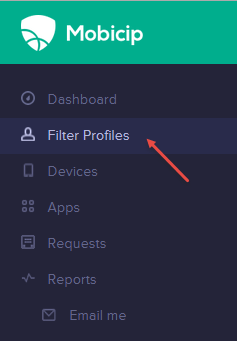 - For the filter profile you wish to edit, click Edit Filter Settings and select the Time Limits tab. You should find it fairly intuitive to use this feature. Follow the steps below if you need help. To block access during a particular time, click the green cell for that particular day and time. A red box with indicates Internet access is blocked during that period. To block access for a particular hour every day, click the hour. You will see that the entire time column will be disabled. To block access on any day of the week, simply click the day. That is it! You have setup Internet access time limits for this filter profile! If the user tries to access the web during the blocked time, a message to that effect will be displayed.